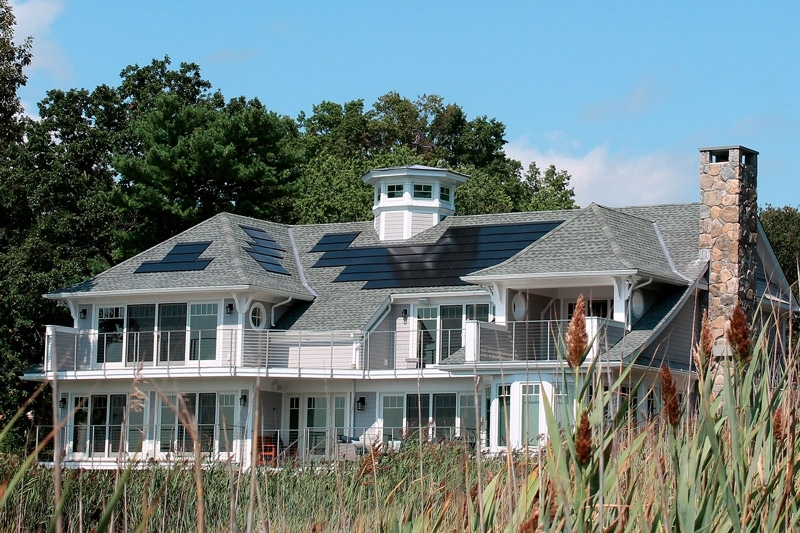 Solar shingles provide an attractive, environmentally conscious way to power Westchester homes. WASHINGTON, D.C. - Today, the U.S. Department of Energy (DOE) announced $100 million to establish an Energy-Water Desalination Hub (Hub) to address water security issues in the United States. The Hub will focus on early-stage research and development (R&D) for energy-efficient and cost-competitive desalination technologies including manufacturing challenges, and for treating non-traditional water sources for multiple end-use applications. In March, Secretary Perry hosted a roundtable discussion at the White House to explore the use of prize competitions to drive technological innovation in critical water issues. DOE is working with interagency partners to develop prizes and associated R&D that will catalyze innovation at the nexus of energy and water. Energy and water systems are interconnected. Energy is required to extract, treat, and deliver water. On the other hand, water is used in multiple phases of energy production and electricity generation, from irrigating crops for biofuels to providing cooling water for thermoelectric power plants. Purifying water for these processes can be energy intensive and becomes more difficult as levels of saline increase. The Hub will focus on desalination R&D to provide low-cost alternatives that treat "non-traditional" water sources such as seawater, brackish water, and produced waters, for use in municipal and industrial water supplies, or to serve other water resource needs. Successful research can then reduce demand on stressed freshwater supplies. Globally, fresh water scarcity is a major humanitarian and economic challenge that impacts all sectors of society. The DOE Office of Energy Efficiency and Renewable Energy’s Advanced Manufacturing Office will lead the Energy-Water Desalination Hub. DOE will fund one new five year award, subject to appropriations. The Hub team will work to achieve the goals of four technical topic areas: (1) materials research and development; (2) new processes research and development; (3) modeling and simulation tools; and (4) integrated data and analysis. View the funding application and submission requirements for the Energy-Water Desalination Hub here. Concept papers are due on February 7, 2019. Read more on ways to advance energy-water desalination in DOE's Clean Water Processing Technologies Workshop Series Summary Report. Authored by Peter Wolf, JD, LLM (Environmental Law), co-founder of the Center for Sustainable Development, this article from "Environmental Law in New York" describes the newest version of the NYS Energy Code which became effective on October 3, 2016. Originally published in the Spring 2014 issue of ArchPlus, Center for Sustainable Development Co-founder and President Christina Griffin, AIA, LEED AP BD+C, CPHC describes the Center's inaugural event and the importance of energy conservation in raising the level of sustainability in buildings, as exemplified in the Passive House concept.